With school over and summer in full swing, you might be in job search-mode. And if so, did you know Portland Rescue Mission is currently hiring? We have positions open at our three main facilities. We are actively looking to hire people who are passionate about helping hurting men, women and children who are homeless and/or battling addictions and seeking recovery. 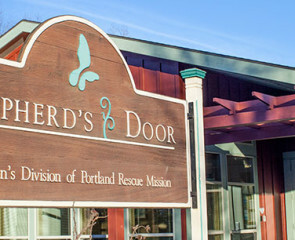 Portland Rescue Mission’s three main facilities are in downtown Portland at our Burnside Shelter, and in northeast Portland at The Harbor and Shepherd’s Door. The Burnside Shelter is home to our Hope and Pathway Ministries while The Harbor and Shepherd’s Door are where our New Life Ministries take place. All of our ministries work together to give hope and restore life for a vulnerable demographic.